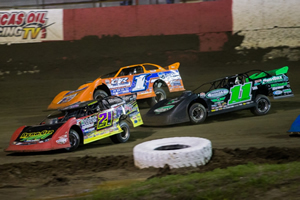 On Saturday evening Vic Hill invaded Smoky Mountain Speedway (Maryville, Tennessee) for the Schaeffer’s Oil Spring Nationals Series sanctioned Spring Showdown. In a field of 23 cars, Hill laid down the fourth fastest time in his qualifying group before capturing a 10-lap heat race victory. Starting the $10,000-to-win A-Main in 3rd, Vic fell back to a 13th place outing in the 50-lap affair. For full results from this event, please visit www.SouthernNationalsSeries.com. On Thursday night Vic Hill was one of 23 Ultimate Southeast Series entries signed in at Volunteer Speedway (Bulls Gap, Tennessee) for the annual Spring Thaw. Coming in 4th in his heat, Hill earned the 12th-starting position for the $4,000-to-win A-Main. Breaking into the Top-10, Vic gained four spots in the 50-lapper to place 8th. 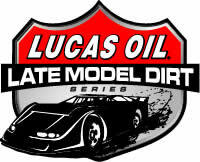 The following night brought Hill to 411 Motor Speedway (Seymour, Tennessee) for Lucas Oil Late Model Dirt Series (LOLMDS) sanctioned Tennessee’s Action Track 50. In a field of 29 car, Vic came up one spot shy of a transfer position in his heat with a 5th place finish. Scoring a 3rd place finish in his B-Main, Hill locked into the 19th-starting position for the main event. With $12,000 on the line Vic Hill improved fours post in the 50-lap affair reeling in a 15th place outing. 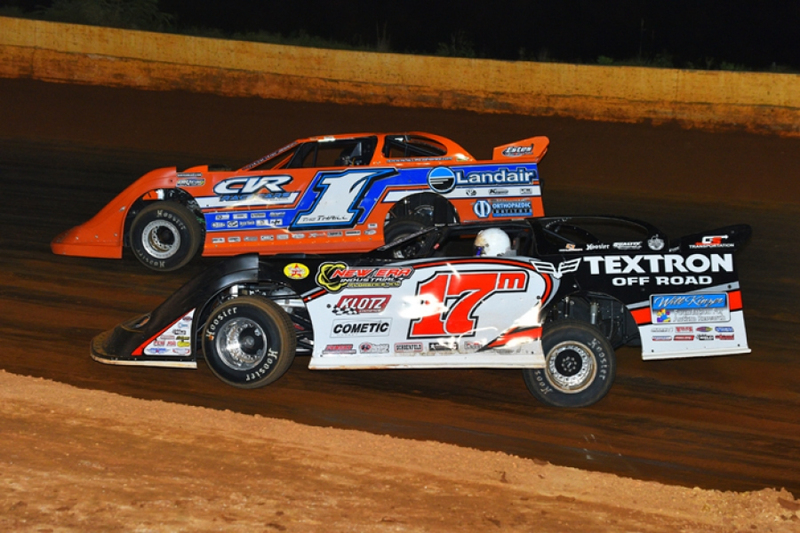 For full results from these events, please visit www.UltimateSupers.com and www.LucasDirt.com. 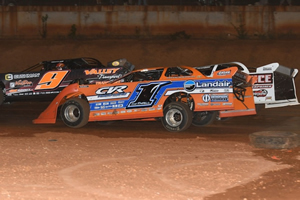 Saturday night saw Vic Hill return to action at Smoky Mountain Speedway (Maryville, Tennessee) for the World of Outlaws Morton Buildings Late Model Series sanctioned program. In a field of 33 cars, Hill laid down the fastest time in his qualifying group before streaking to a 10-lap heat race victory. Starting the $12,000-to-win A-Main in 7th, Vic got spun around on the third lap but battled back from the tail of the field to place 14th. For full results from this event, please visit www.WoOLMS.com. Vic Hill made the trip to East Bay Raceway Park (Gibsonton, Florida) on Monday night for the 43rd annual Wrisco Winternationals. With 53 Lucas Oil Late Model Dirt Series (LOLMDS) entries registered in for action, Hill jumped up one spot in his heat to place 6th. Needing a 2nd place finish or better in his B-Main to make the opening night feature, Vic came up short with a 9th place outing. The following night, Hill recorded a 7th place finish in his heat transferring him into the B-Main for another shot at the feature. Failing to place 2nd or better, Vic earned a spot in the DirtonDirt.com Strawberry Dash for one final shot at the $5,000-to-win A-Main. Sending only the race winner into the show, Vic fell short of transferring with a 4th place finish. Returning on Thursday night, Vic recorded the sixth fastest time in his qualifying group before grabbing the 3rd and final transfer spot in his heat race. Coming one spot shy of a Top-10 finish in the feature, Hill improved seven spots in the 40-lapper to place 11th. On Friday evening, Hill got involved in a tangle in his heat that dropped him back to a 10th place outing. Slated to start near the tail of his B-Main, Vic scratched from the event to prepare for Saturday’s finale. 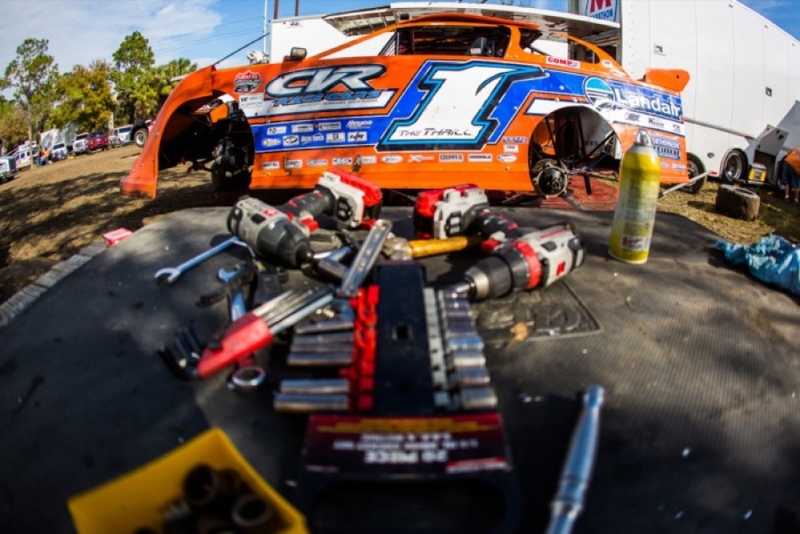 Following a 6th place finish in his heat on Saturday, Vic recorded a 5th place finish in his B-Main transferring him into the DirtonDirt.com Strawberry Dash for one last shot at the finale. Sending only the race winner, Hill streaked to an 8-lap Dash victory positioning him 26th on the starting grid for the finale. With $12,000 on the line, Vic Hill improved ten spots in the 50-lap affair reeling in a 16th place outing. 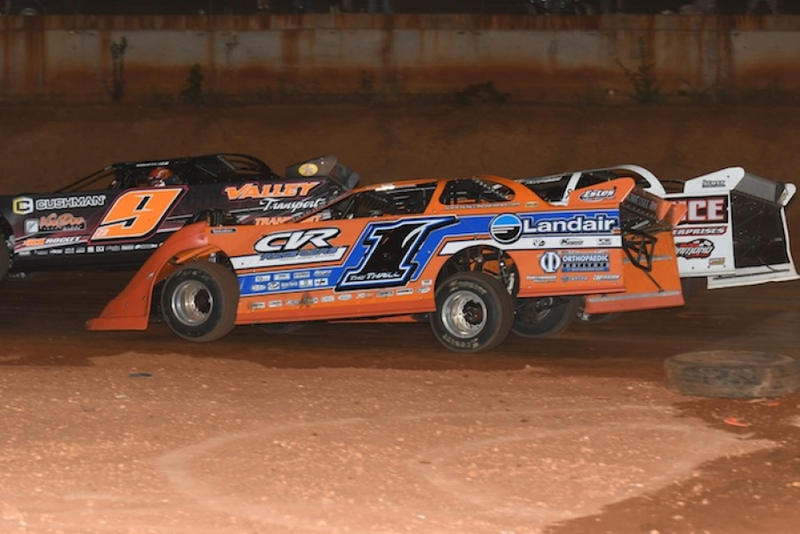 The 2018 season saw Vic Hill compete in a total of 23 events where he captured one win aboard his Landair #1 Orthopaedic Institute of Western Kentucky/ Longhorn Chassis/ Vic Hill Race Engine Super Late Model. With the weather determining the outcome of eight of his scheduled dates, Hill collected nine Top-10 outings and five Top-5 finishes. 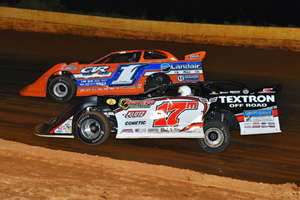 Vic Hill invaded Duck River Raceway Park (Wheel, Tennessee) on Friday night for the 7th annual Deep Fried 75. Drawing 36 Super Late Models for the two-day event, Hill registered the eighth fastest time in his qualifying group before placing 3rd in his heat race. Earning the 17th-starting position for the $14,500-to-win A-Main on Saturday night, Vic gained eight spots in the 75-lap affair to place 9th. For full results from this event, please visit www.DuckRiverRacewayPark.com. For full results from this event, please visit www.SASDirt.com. Friday night found Vic Hill in action at Magnolia Motor Speedway (Columbus, Mississippi) for the Magnolia State Cotton Pickin’ 100. Drawing 57 Super Late Models for the two-day event, Hill dropped three spots in his heat race logging an 8th place finish. Needing a 3rd place finish or better in his B-Main to make the opening night feature, Vic fell four spots short with a 7th place finish. The following night for the $12,000 top prize, Hill posted a 6th place finish in his heat giving him one last shot at the finale with a B-Main appearance. Sending the Top 3 into the show, Vic recorded an 8th place outing end his weekend early. For full results from this event, please visit www.MagnoliaDirt.com.